Question 3 -- What is the difference between a silver plated and a solid silver flute? 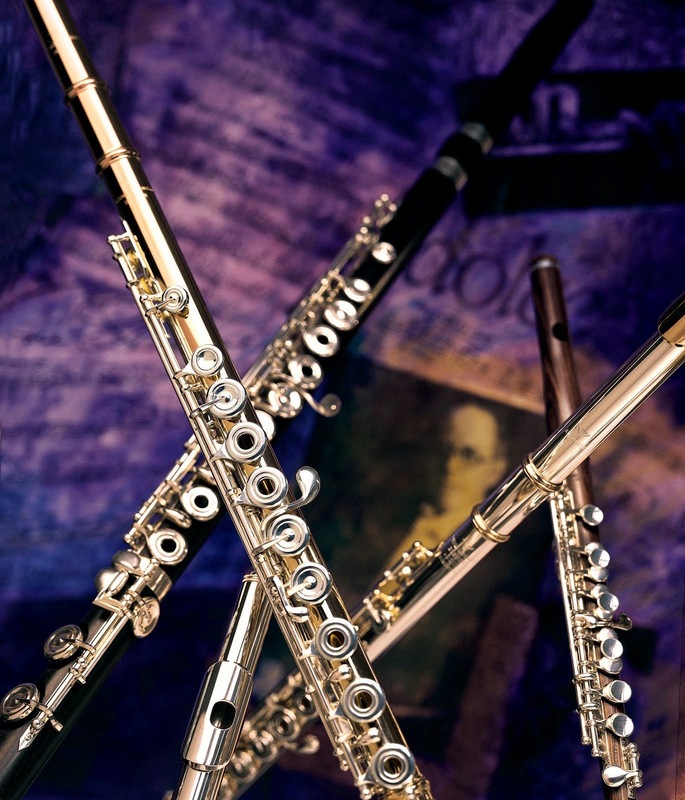 Question 4 -- What is the difference between inline G and offset G? Inline G/Offset G key: Inline means the 3rd finger of the left hand stays "inline" with the other keys. Offset means the 3rd finger of the left hand sets out, and some players find this more comfortable. 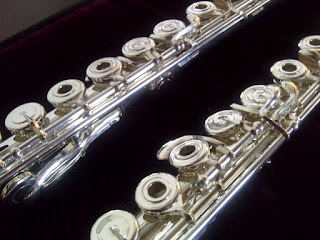 Typically, student level flutes have offset G because the player's hands have a hard time reaching for an inline G key. Quite honestly, this is a player preference. 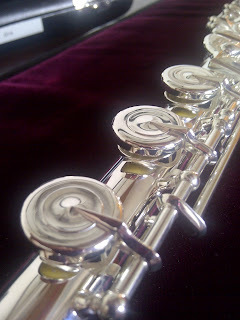 Question 5 -- Does it really matter what type of "arm" is on the keys? 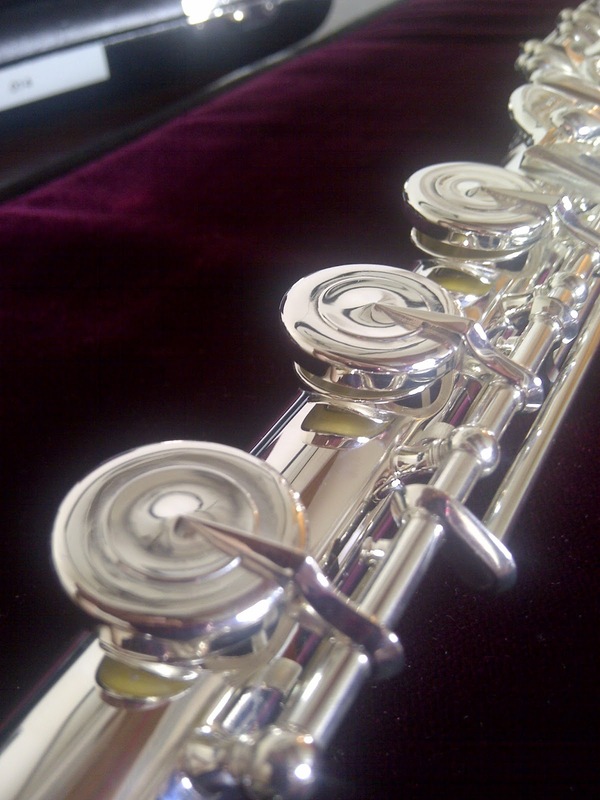 Y Arms or French Arms: If you look at the flute, there are a number of keys that the player does not press down. For the keys that are pressed down by the player's fingers, the closing of the key is actually done by the middle of the pad of your finger. 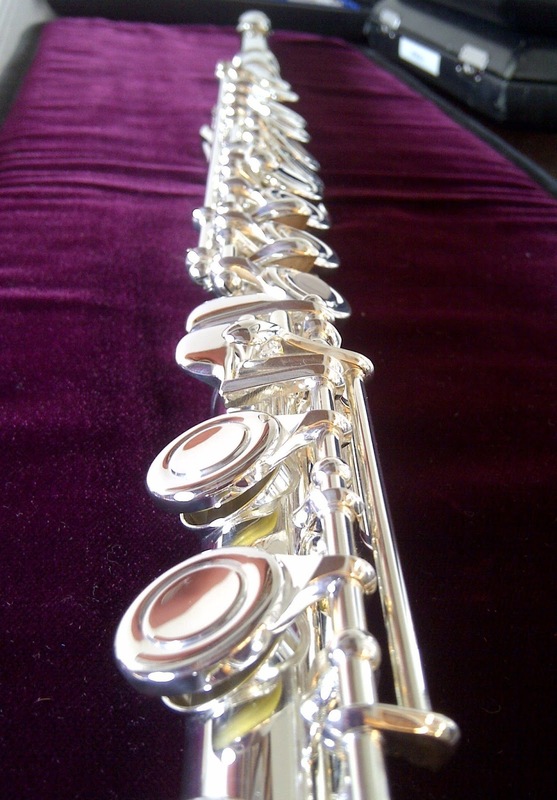 Some flutes have an extension that reaches to the middle of the keys that are not pressed down -- these are called French arms. This is to provide a consistent sealing of the pads. 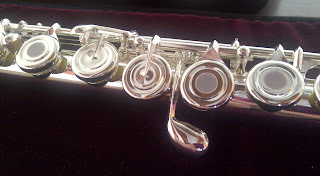 With Y arms, the key is closed from the back of the key, rather than the middle. 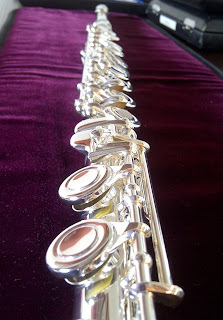 Some flute players will notice a difference in the feel of the flute while others may not.